Attempting to enter Law School? Which Study Path will you choose for your LSAT Exam? Trying to pass your admission exam? Our company can help you tackle your test preparation needs. Our local tutors can help you improve your LSAT score, helping you get into your top law school. Requirements for law school admission are rather rigorous, requiring a great level of foundation, and preparation for this exam should be done while you are still in high school (or should we say as early as high school, the early the better), typically students attend law school around age 24, approximate number. Depending on when you graduate from undergrad school. Before considering applying to your law school make sure that you go to good undergraduate college, admission officers look closely at which undergrad college you went to. 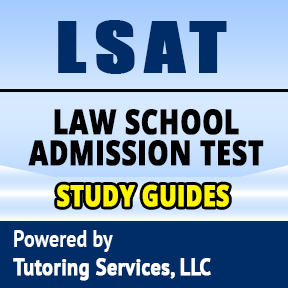 In fact, preparation for law school should be done from as early academic career days as possible since LSAT test asks specific questions that are next to impossible to study with unless you truly did well in your undergraduate studies and have solid core foundational of critical reading skills, analytical skills, and logical reasoning. Some of these skills is very hard to achieve without some level of preparation. 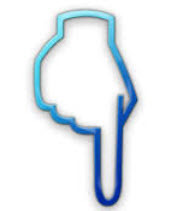 Areas we service include state of NY Westchester County, the nearby area of Fairfield County, Bergen County NJ and New Haven and Hartford Counties CT. Ideally, if you want to start studying for your LSAT exam, don't wait till the end of your undergraduate studies, begin preparing for as far out as from high school days. Some tests such SAT typically follow similar pattern focusing on admission criteria for students entering undergraduate school. However doing well on SAT doesn't necessarily mean that you do well on LSAT. It helps, but LSAT is not SAT. It's a different test, that requires special tactics for you to study from, sections covered on LSAT exam are logical and analytical reasoning, reading comprehension. 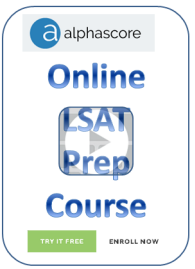 Starting your test preparation journey ahead and being ready for your LSAT exam. Frustrated with study materials on the market? Let us help you chose your study path by helping you prepare for your Law School exam. Becoming a lawyer is a life cycle, that starts with you attending k-12 grades, getting solid foundations in reading/writing, logical skills from the very early days. However, not everyone knows who they want to be from early days of high school. However, years of high school and undergraduate studies can prepare you for many of future obstacles. Our company helps your son and daughter prepare ahead of times, ahead of that rigorous LSAT exam. To become a lawyer you need to finish undergrad school get into top school and then pass your BAR exam to become a lawyer. Getting into top Law school can be the daunting goal if you do not prepare your right properly academically speaking. Our company helps students get better grades, not only academically, but in specific closely relevant law school entrance admission exams such as LSAT. So how can we help you prepare for your test? We can help your son or daughter prepare for LSAT exam. Well for starters you can take advantage of a local tutor who can teach your son/daughter LSAT exam and help you prepare for your test, to do that simply browse tutors below or if you do not see one contact us and we can help you find one. The Kewl part about is that we are also marketing company meaning if you need a tutor we can help you find one and market your request across our local tutoring network of websites in Westchester, Fairfield County CT and even Bergen County NJ. What exactly does that mean for you? That means you get to have the most affordable tutor based on your suggested price. Something that you won't find another company offer. We are all about helping students chose their proper LSAT study paths. The study path you take matters. 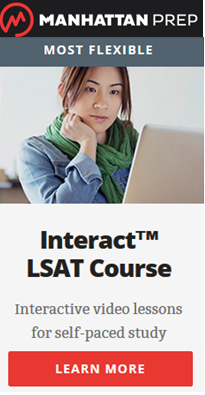 If you are looking for LSAT course in NY, that is also an option, however we Tutoring Services, LLC do not have local office, our partners do though, other companies that do offer courses typically pricey and effectively can provide the same type of training then what our professional law school tutors can provide who already passed their exam or work as lawyers and don't mind helping students in Westchester County prepare for LSAT exam for less amount than you would get from a learning center. Don't want our help to match make you with an expert LSAT tutor in your area? Then don't hesitate to visit our sister site TutoringServices.com where you can search for local LSAT tutor without having to pay agency commission fees. How is that possible? That we can operate like that not charging students commission fee? Well, we have 2 business models, one model is called CallMyTutor and another one is TutoringServices.com operating on 2 different sites. In CallMyTutor.com you get a quality match by calling us from phone number above top right corner for your LSAT tutoring need similarly like we provide quality tutoring match for academic tutors such as Calculus as described here. One business model is more personalized than another. If you call us from the phone number on top right corner and tell us you would like LSAT tutor we would work with you and help you make the match happen with on the phone assistance and help you find a reliable tutor with high LSAT scores who took the exam in the past and can help you tackle your studies. If you do not call us then and go through TutoringServices.com site instead, we do not assist with any personalized matchmaking and instead you search for tutor who you think is best on your own. 2 models are different because CallMyTutor model provides higher quality in matchmaking student with tutor and in some cases even costs lower amount than trying to find a tutor on your own, we hand pick our LSAT tutors and ensure they are experts review their backgrounds and much more. We have rigorous acceptance requirements. Feel free to check them out here. If you would like our assistance to help you find a local LSAT tutor in Westchester County NY and ok paying small agency commission fee for every hour tutored and still get a tutor far lower priced than a local learning center or any other company for that matter in Westchester and Fairfield County area, reviewed and verified by as for background (speaking of background we have our own background checking and verification site), then don't hesitate to contact us. Our agency fee is literally one of the lowest one in the whole state of NY. If you prefer our agency to work with you and help you get matched with LSAT tutor don't hesitate to call us, after all getting into top law school is not easy without professional help. Our instructors can help. LSAT tutor? Want to help others? Want to make money teaching students? What are your LSAT test dates? 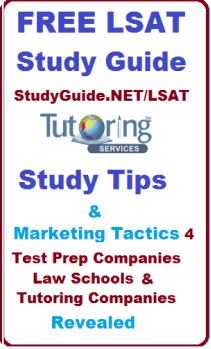 For more info about LSAT test dates, exam information, test preparation tactics, reviews ratings and recommendations from our company Tutoring Services, LLC and LSAT Study Guides available on the market feel free to visit this link. If you are interested in seeing another study path we recommend, and exam information simply visit the link above, or better what browse directly study guide materials from this very own page! To view LSAT tutor profiles and study guides browse below.